By the late 19th and early 20th centuries, the Lied genre had arguably reached a peak, with such late-Romantic masters as Mahler, Strauss and Wolf in their song-writing prime. Composers of a younger generation, such as Zemlinsky, Schoenberg, Schreker and Joseph Marx, cultivated the medium no less enthusiastically. This was the musical environment into which Karl Ignaz Weigl was born in Vienna in February 1881. By the age of 15 Weigl had already had composition lessons with Alexander Zemlinsky, a family friend. It was clear from an early stage that the writing of vocal music was a particular passion of Weigl�s. With the Nazis' rise to power in the 1930s, Weigl, as a prominent public figure of Jewish descent, found himself in an increasingly precarious position. Sensing the writing on the wall following Hitler�s annexation of Austria in 1938, he and his family fled to the United States. Weigl died there in August 1949 at the age of 68, with much of his large output lying neglected and rarely performed. 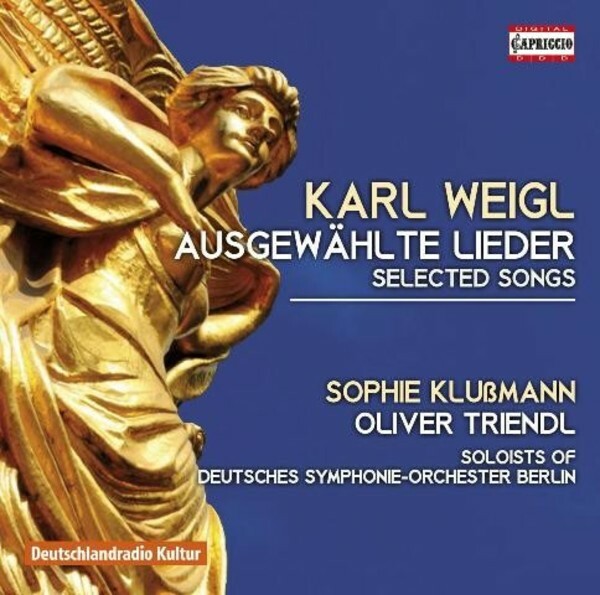 One can hope that recordings such as the present one will help to raise consciousness among performers and their public of these highly individual and very beautiful songs, which can stand comparison with those of any of Weigl�s contemporaries.